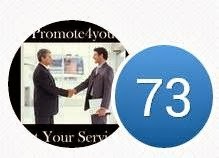 Promote4you: Adam Justice : Your Social Media Expert! 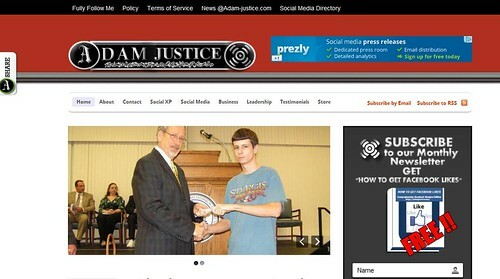 Adam Justice : Your Social Media Expert! Adam Justice, a photo by totemtoeren on Flickr. Adam is a Veteran Web Developer and Online Marketing Strategist with over 12 years experience, and projects from all over the Internet to his credit. He has recently expanded his development and social media marketing operations under the brand name Elkhorn Media with the goal of proliferating online marketing techniques and success in the rural region of Eastern Ky. where he lives. Also an accomplished columnist, he has written for niche network sites since he began developing online properties in 1998. He is currently a Yahoo! featured contributor in the categories of Technology, Politics and Automotive. After receiving an AAS degree in computer aided drafting from BSCTCS he started a co-operative internship with Abbott Engineering where he still works today doing civil engineering, surveying and coal mining related projects. To date Adam has produced several successful web properties, the most successful being Avatar’s Wrestling School and Barackbuster.com. He is currently in the process of securing financing for his latest round of projects which will feature the most high quality Internet professionals doing what they do best. Over 80 percent of the startup costs have been covered and development is already underway. The network is expected to be launched early 2012. Avatar’s Wrestling School- A hobby of mine when I was in grade school, the first online communities I joined were wrestling forums. I became involved in Fantasy Wrestling, and began learning how to write HTML to expand on the website of a friend. I was approached by a colleague named Jerry Mings to handle web development for a fantasy wrestling school he had in mind. After designing the website, I began marketing the website through established networking channels (the Internet was a much different place in 1999). Within 2 months the AWS was ranked #1 on FWLnet.com’s top 1000 fantasy wrestling websites list, and the site became a household name in online wrestling communities. We were approached with hosting opportunities, and won several awards for both quality and popularity. This was my first major marketing success, and I always look back to what I accomplished as a child to remind myself what I should be capable of as an adult. The Community Website for Spain Football Fans! 'Tech Savvy Grandpa' Mike Bowler Sr.